Every year my children’s school celebrates ‘World Book Day’. The younger children in the school are all invited to dress up as a book character. 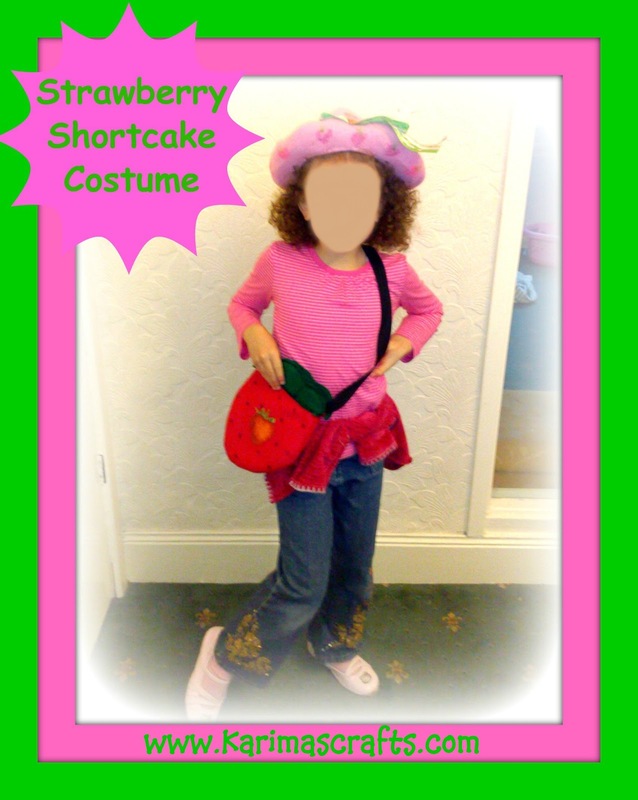 Last year my daughter decided to dress up as ‘Strawberry Shortcake’. I always like to make something myself so that it is original, not just the usual shop bought costume. I only had to design a hat and a bag for this costume. Luckily she had a pair of blue trousers and a suitable top in her wardrobe. I searched the internet for ideas on how to make my own hat as I had never made one before. There are quite a few tutorials out there to choose from. 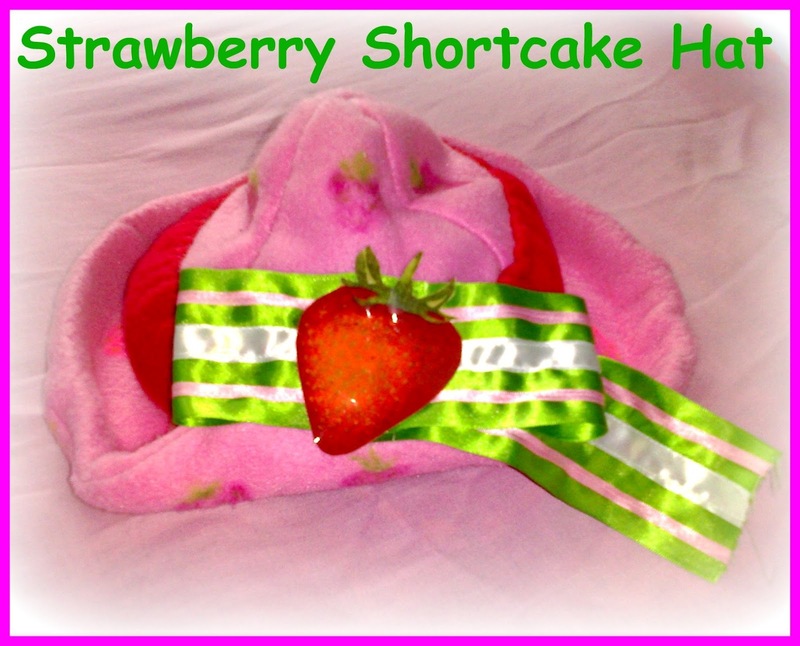 The basic materials needed to make this hat were: some cardboard for the rim, some ribbon and some nice pink fleece (which I already had), red and green fabric pens to hand draw a few faded strawberries onto the fleece. To make the bow I used a few ribbons stitched together, so to make a nice large bow for the front of the hat. 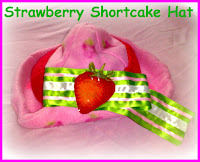 I then glued a vinyl strawberry onto the ribbon, which was then sewed onto the front of the hat. It was my daughter who actually made the strawberry shaped bag. She used a sewing pattern from one of her children’s’ magazines. 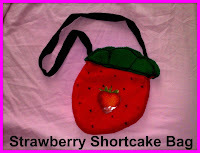 I had another spare vinyl strawberry , which was glued to the front of the finished bag. To finish her transformation, I drew some freckles on her face with an eyeliner pencil. She returned home happy, with first prize for the best costume in her class!